Like I wrote in the last Plurt, there are two categories of "humans" and "nonhumans" living on Lygea: First, there are the first, immortal, the original Fathers and Mothers of these groups, the Ancients. Second, there are the mortal descendents of the Ancients. Since all of the world's population will descend from these Ancients, we made a list comprised of all ancients that exist. First, we wanted to define one individual or a fixed number of Ancients for each of the categories we came up with (e.g. a scorpion Ancient, a wolf Ancient, etc.). But then we noticed this to be a really low number to work as the source of all world population. So we decided to just define the categories instead, and expect each one to have multiple Ancients. We're done with this definition. If you're able to speak German, you can check it out, if you like. The Forasians are completed. I've already told you last time, what happened in their history. 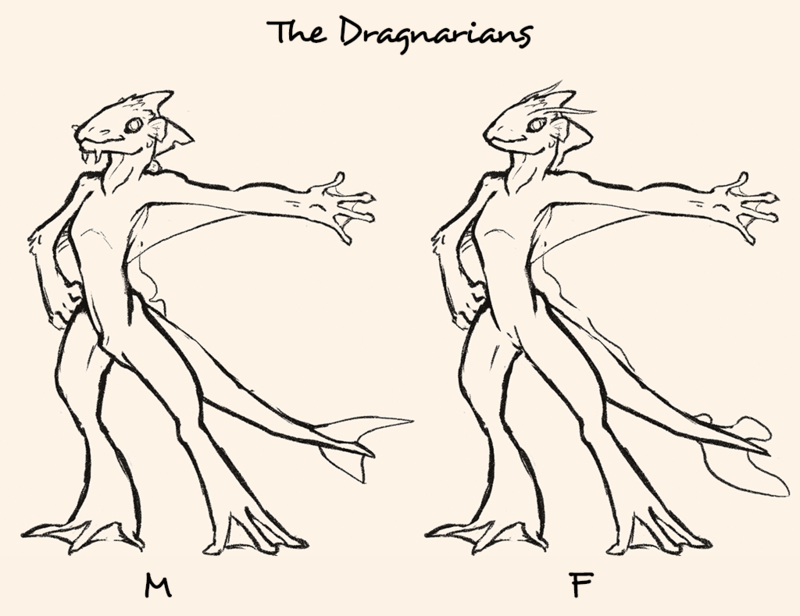 Now I've moved on to our amphibian-reptilian-like water people, the Dragnarians. The Dragnarians are keen explorers and cartographers. That is why their history is mostly concerned with world exploration. They're the only race that doesn't live on only one continent, which is why their first voyages aim to reunite the two halves of their people. Afterwards they discover the other continents. During those voyages they of course meet the other races and start to trade with them extensively. That way wares and ideas of all the races find their way all around the world. I'm currently at describing the most important voyages. I should complete those until the end of the week. Afterwards I'll move on to our shadow people, the Evelites. Project Gaia is progressing nicely, I think. Abe had the idea of hosting a Pen & Paper that takes place in the beginning of the second millenium. We haven't got a lot of players, yet, so if you're a German speaker, we'd be happy to have you in the group! P.S. I'll pay 5 Dollars to anyone, who has read up to this point!